There are just three states in the United States that do not have any helmet laws for motorcyclists. Out of the 47 that do have laws, 19 have universal helmet laws while the remaining 28 have laws that require a helmet only for particular riders. New York falls into the universal helmet law category. At Gary A. Zucker & Associates, we have a thorough understanding of these helmet laws. We can help clients understand how motorcycle accidents and helmets can impact their livelihood in Brooklyn, NY. When you are injured in a motorcycle or auto accident, you need a team of expert attorneys on your side to protect your rights. New York’s universal helmet law was enacted in 1967. The law requires both operators and passengers of motorcycles to wear helmets and protective eyewear that meet the Department of Transportation’s (DOT) safety standards. This law also applies to mopeds that exceed speeds of 20 miles per hour or more. All helmets sold in the United States must comply with DOT standards, as well as those set forth by the Consumer Product Safety Commission. Generally, “novelty” helmets do not meet these standards. Motorcycles are inherently more dangerous than other types of vehicles. They lack the exterior structure of cars and trucks that help protect occupants. Motorcycles are also smaller, so they are more difficult for other drivers to see. Combine all this with reckless driving and accidents are likely to occur. 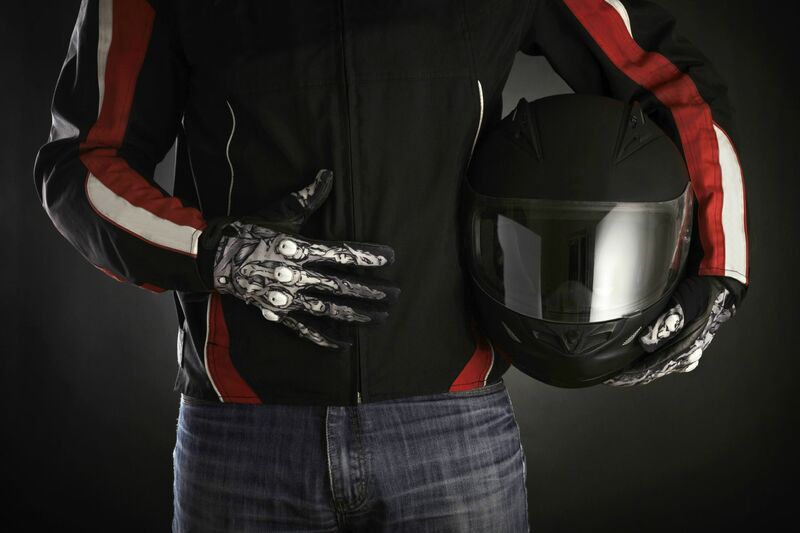 Studies show that helmets are at least 37 percent effective in preventing fatalities of motorcyclists in accidents. They are even more effective for passengers involved in accidents. Brain injuries sustained in accidents are the number one cause of death. Helmets are 67 percent effective in preventing these serious injuries. The instance of brain injuries and fatalities are much higher for motorcyclists who do not wear helmets. Operating a motorcycle without a helmet doubles the risk of these severe injuries. After an accident, a motorcyclist (or his or her family) may choose to file a personal injury claim against another at-fault motorist to recover damages. However, if the motorcyclist or a passenger failed to comply with state laws and did not wear a helmet, this could impact the potential damages he or she can recover. The opposing attorneys may argue that not wearing a helmet when required by state law constitutes as negligence. It could mean the injured motorcyclist recovers less compensation, or it could potentially mean he or she recovers no compensation. Our team of attorneys at Gary A. Zucker & Associates is here to help you no matter which side you are one. We can help motorcyclists facing a strong bias in the judicial system as well as motorists involved in these serious accidents. Contact our law firm today to schedule an initial consultation with one of our skilled attorneys.